A great way to help your dog with stress, frustration, tension, anxiety and weight management! The biggest field in South Florida! from 10:00 A.M. till 12:00 P.M.
Fort lauderdale. Subject to weather forecast. Open to every dog owners with any breed of dog at really low cost. Give your dog a chance to loose those extra pounds and get back in shape a dog way. 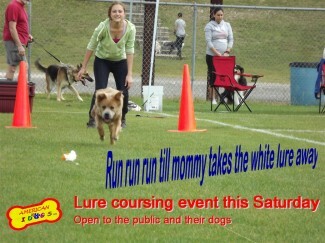 Cost is $15 for up to 3 laps of your dog is in great physical condition. Each dog will be able to do several runs on our 78,000 s.f field. Pools and water are available to cool down your dog. Because of the high volume you should come early.